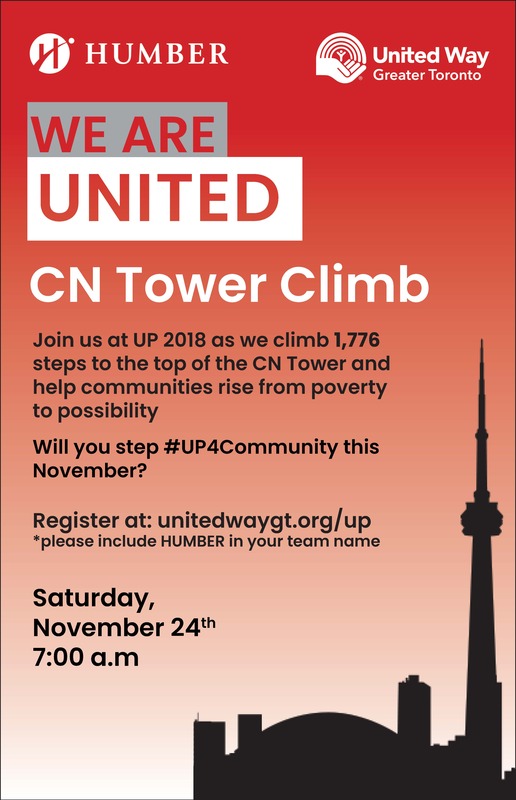 Join us on November 24, 2018 as we climb 1,776 steps to the TOP of the CN tower and help communities rise from poverty to possibility. Will you step #UP4Community this November? Register at unitedwaygt.org/up. Be sure to include "Humber" in your team name. There will be a bus available from North and Lakeshore Campus to the CN tower. Please contact seeret.samra@humber.ca for any additional questions.